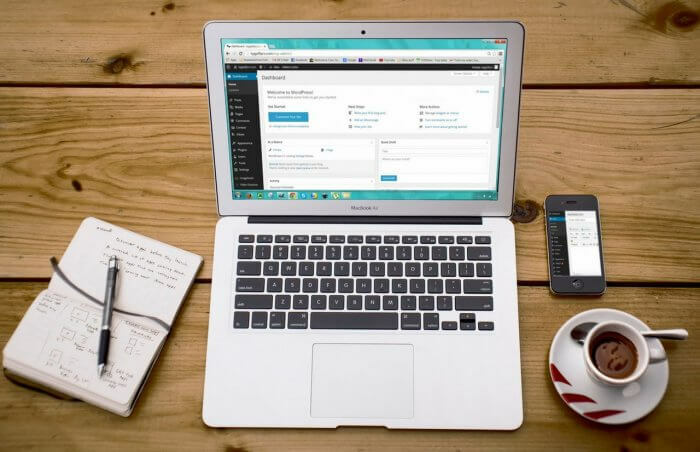 Benefits of Making Your Website in WordPress CMS! A good website development company uses WordPress Content Management System to Develop a Business website. Because WordPress make easy for you to update the website from any angle. The CMS dashboard is simple to use, just by logging into the dashboard you are all set to create new pages and posts. It is super easy to add content, images, audios, and videos to your website. It offers quick editing, retrieval, deleting and publishing of content. These super easy steps encourage the user to come up with more content which then keeps the website updated. Searching the content on the website can be time-consuming whether you website displays few pages or hundreds. For this problem, the WordPress CMS offers the mechanism to search the information very easily. It achieves such mechanism by being database driven. Expanding upon the terminology database driven, we simply mean that the pages and content are stored in a database. Since all the information is in the database, ability to search the content becomes super quick. The query of the user is matched against the data stored in a database and then results get displayed in a tabular form. The user then picks the option which one searches for. Thus the implementation of search process gets boiled down to those aforementioned few points. Ever got frustrated on the thought that you will lose the whole content if you desired to change the design afterward? If yes, then heave a sign as WordPress CMS promise great Website Design Services. As all the content gets stored in a database, one doesn’t need to create his or her forehead in worry of losing the data. So feel free to play with the design and the order of pages as much as you want. Different templates (inner/ outer templates) and themes can be chosen for the different section of your website with CMS WordPress like homepage and blog page etc. Having such website design services gets powerful especially when you need to make alteration in one of the templates, that change gets updated in all the pages which used that specific template. It has the dynamic nature which means the content is not static and has the ability to appear different each time. The format displayed for the different users can be different each time. The format includes the position of a search bar, comments, ratings and other pages. Managing the website is easy, so you don’t have to spend anything for additional training. You will not find the need of hiring technical people for the purpose nor you will have to spend time on watching tutorials. Such an easy process allows the whole management of the website to land under your wing. NextImportant Points to Remember Before Choosing Buy Now Pay Later!